Contact James G. Sullivan & Associates for a free confidential consultation at (281) 546-6428 about your allegations of child abuse or child neglect. 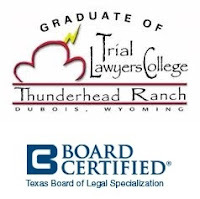 Sullivan graduated from the Trial Lawyers College founded by Legendary lawyer Gerry Spence and was invited to join The National Trial Lawyers organization. Sullivan has a proven record of defending people from all walks of life, faiths and countries in courts throughout Texas. Contact James G. Sullivan & Associates for a free consultation at (281) 546-6428 about your allegations of child abuse or child neglect in the areas of Harris County (Houston), Montgomery County (Conroe), Fort Bend County (Richmond), Brazoria County (Angleton), Matagorda County (Bay City), Waller County (Hempstead), Washington County (Brenham), Liberty County (Liberty), Chambers County (Anahuac) and Jefferson County (Beaumont). James Sullivan is an experienced Sugar Land family crimes lawyer who will work hard to get you the best result for your particular situation.